PARIS (AP) — France’s security services have foiled six terror attacks this year, the interior minister said Tuesday as the country marked three years since gun and bomb attacks in Paris killed 130 people. Three years after Islamic extremists slaughtered concert-goers at the Bataclan venue and other Paris sites on Nov. 13, 2015, the terror threat to France remains high but has “changed shape,” with the Islamic State group weakened and counterterrorism efforts strengthened, the minister said. “Nearly every week” security services “intervene on the ground to neutralize risks” and their work is dissuasive to potential attackers who “know that we keep watch, that we hear,” Castaner added. Prime Minister Edouard Philippe and other officials marked moments of silence and laid wreaths at the sites of the 2015 attacks. 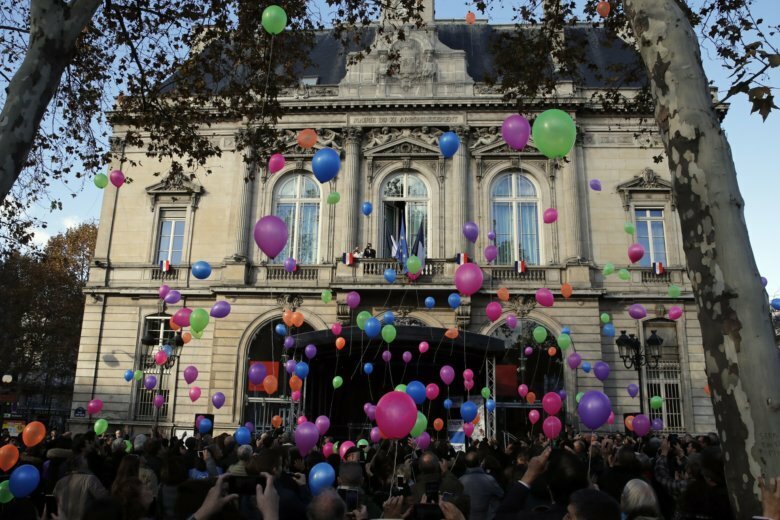 Colored balloons with the names of the victims also were released in Paris’ autumnal blue skies.